DraftKings looks to be expanding from daily fantasy sports to sports betting with the announced hiring of a Head of Sportsbook. DraftKings, Inc. today announced Sean Hurley has been hired as the new Head of Sportsbook to help build, launch and drive the sports betting vertical at DraftKings. In this newly created role, Hurley will report to Chief Revenue Officer and co-founder, Matt Kalish. 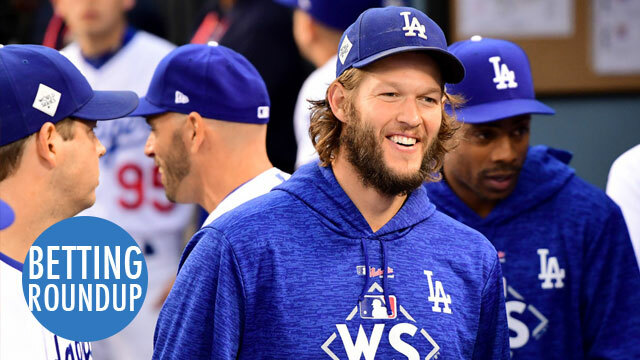 Ahead of the 2018 MLB season, ESPN Chalk compiled regular season win totals and odds for each team to win the World Series, their division or make the playoffs. The defending World Series champion Houston Astros stand as the co-favorite to win the 2018 World Series at 5-1 (along with the Los Angeles Dodgers) and lead the MLB with the highest win total at 96.5. Here is a look at complete odds for the 2018 season, including win totals, World Series odds, division title odds and odds to make the playoffs. The St. Louis Cardinals and Kansas City Royals have said they would want a 1 percent integrity fee if sports betting were to become legalized in Missouri. Mike Winter, executive director of the Missouri Gaming Association, which represents the state’s 13 casinos, said sports betting has a low profit margin. The casinos are more interested in legalizing it in order to draw people to the casino. “We don’t see this as a huge panacea for us,” Winter said. “I think that it will bring more viewers to watch sporting events,” added Brent Hemphill, lobbyist for Penn National Gaming.